Conscience consists of a duty to God and one’s self—a moral obligation of the highest order. For Witherspoon, and his student, Madison, religious liberty was founded in sacred responsibility, the need to be free to fulfill one’s duty to God and thereby secure enduring happiness. To violate one’s duty to God does irreparable damage to one’s soul, a crime in which no just government or people would ever be complicit. As a young man returning home from Princeton, Madison discovered that Baptist ministers, members of a minority religious group in Virginia, were being jailed for failing to obtain a license to preach. Most Virginians, who belonged to the Anglican Church, believed they were tolerant – after all, the Baptists only had to obtain a license to preach, in the interests of maintaining the public peace. The propensity of majorities to consider their vision of the public good over the rights of religious majorities existed during the days of the prophet Daniel and persists in our own times, when the majority scoffs at the rights of minority religionists to avoid funding abortions in their businesses or using their talents to support causes antithetical to their beliefs. For Baptists, at the time of the founding of America, the call to preach was from God and required no imprimatur from the government. Imbued with a deep commitment to the right of conscience, and an appreciation for the Baptists’ religious beliefs, Madison wrote his classmate and friend, William Bradford, that Virginia’s infringement on the Baptists’ right of conscience “vexed” him more than anything else. Madison never converted to the Baptist faith. Nevertheless, he was driven to secure religious liberty for oft-persecuted minority faiths. Those minority religionists, in turn, became Madison’s political base, enabling him to lead the effort to secure the constitutional rule of law in America, including the right of conscience. Madison was only in his mid-twenties when he was elected to serve as a delegate to the Virginia Constitutional Convention of 1788. During that convention, the delegates Virginia adopted a Declaration of Rights that became a precursor to the Bill of Rights. George Mason, a distinguished delegate offered a provision to be included in Virginia’s Declaration of Rights that was designed to tolerate religious conscience and exercise. Madison was alarmed – toleration, by its very nature, denoted a second-class right, a right given and capable of being taken away by a tyrannical majority. 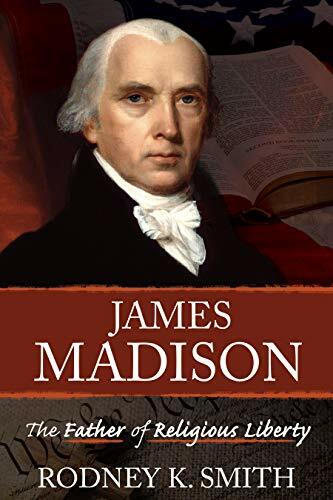 Throughout his public life, Madison worked to secure the pre-eminent right of conscience, ultimately placing it securely in the First Amendment to the United States, with free exercise language that mirrored his amendment to the Virginia Declaration of Rights. In March 1792, the same month that states were notified of the ratification of the Bill of Rights, Madison also wrote a significant essay explaining why the right of religious conscience must remain pre-eminent. In that illuminating but often disregarded essay, Madison explained that we have a right in real property and property in rights. He believed government could take property only when it offered just compensation for the value of that property. That worked well for real and personal property rights, but it did not work as well for other rights, particularly the right of conscience. For Madison, people also have property in their opinions and other rights, including the right of association. Government prohibitions on expression, therefore, constitute a taking. Unlike the taking of real property, however, when government takes a person’s right of expression, there is really no way to compensate for the taking. The right of conscience, in turn, was an even higher right. Madison declared, “Conscience is the most sacred of all property; other property depending in part on positive law, the exercise of [conscience], being a natural and inalienable right.” The infringement on one’s religious conscience, for Madison, was a governmental infringement of the worst sort. He firmly believed that to take one’s soul, an act that is never compensable, was an act of tyranny of the worst sort. 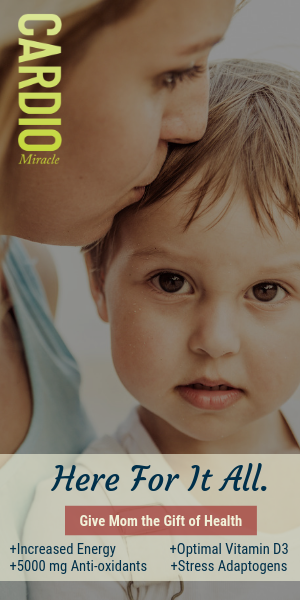 Henry Ward Beecher, the great abolitionist, preached, “Every artist dips his brush in his own soul, and paints his own nature into his pictures.” The right of religious conscience protects that which is most precious in the life of persons of faith – their duty to God, the foundation of their soul. Permitting government to take the souls of our children and their children, therefore, ought to vex us as much as it did Madison, the Father of the Bill of Rights. Rodney K. Smith, Director of the Center for Constitutional Studies at Utah Valley University, recently published James Madison: The Father of Religious Liberty. 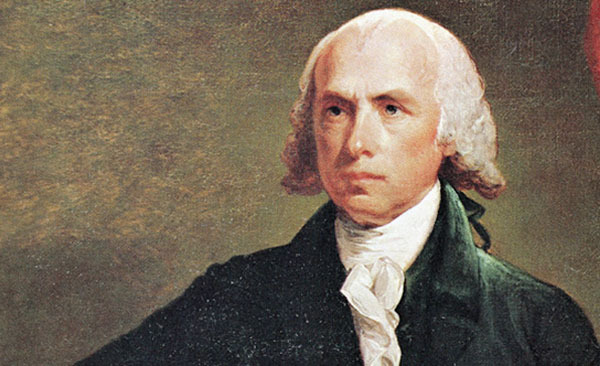 I certainly agree with James Madison. People should be able to express their religious views freely and live the principles and doctrine that they believe in as long as they are not denying the rights of others. There are too many people these days who only want their rights and beliefs to be valid and no one else's.